Online retailer Simply Games has signed up as sponsor for this year’s MCV Awards. The firm has pledged its support for the evening as Event Partner. 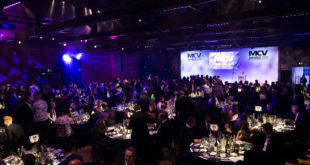 "Simply Games are delighted to be an event sponsor for the forthcoming MCV Awards," said MD Neil Muspratt. "As the business builds and the brand becomes stronger, we want to reinforce the key brand values through a host of marketing activities. These include further advertising (on and offline), extending our sales channels and adding ‘authority’ to the brand through activities precisely like the MCV sponsorship. He added: "It’s a privilege to see the brand reflected on such an important event in the UK games calendar." Simply Games are joined by Xbite and OnLive as sponsors for the MCV Awards 2014. The ceremony takes place on April 10th at the London Lancaster Hotel and will be hosted by Channel 4 presenter and stand-up comedian Adam Hills. To book your place at this year’s prestigious event, contactKathryn.Humphrey@intentmedia.co.ukor call her on 01992 535 646. A range of sponsorship packages are still available. Contact Lesley.Blumson@intentmedia.co.ukor call her on 01992 535 647 to find out more.